One of the most telling things about the so-called First World revolutionary potential is the divide between Black and White “workers”. If we were to take the First Worldists at their word, you would think that there is a common class identity across races in America. An uncritical look at their claims would make you think that revolution was right around the corner, they’re just waiting for a single spark to start the prairie fire. This is absolutely false. In fact there is a great divide when it comes to race, particularly with the history of racism there. In a lot of American society there is a deliberate attempt, by the “working class” itself to suppress the Black population. Unions have historical protected “White jobs” from being taken by Black people. Today many of them are virulently anti-immigrant. The racial divide is still very deep. In a county where FOX News is a gigantic trusted news source, can we be surprised that such a large percentage of the population doesn’t believe the police target Black people? 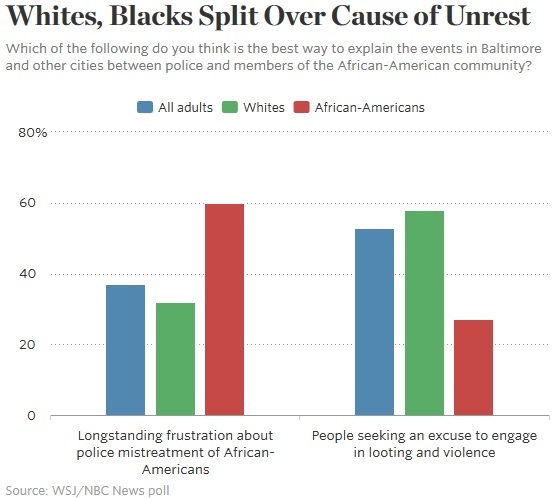 According to new studies, about half of the American public denies the systemic oppression of the Black population by the police. Think about what this really says. About half the population of the United States doesn’t even believe that their own society’s police carry out oppression against the Black population. The history of police killings and racism could not be any more open. The marginalization of the Black population goes directly in the favour of the White “working class”. It keeps neighbourhoods gentrified, it has an effect of keeping certain jobs in favour of Whites, as well as access to education. Despite all this obviousness, almost half of all Americans deny its existence. This privilege here is relatively small when we compare it to the global privilege that they enjoy. If these “workers” refuse to see the crimes carried out in their own country and act against them, how can we possibly expect them to do the same to crimes their government commit globally? They won’t even do self-defence let alone fight for the global poor. The “working class” people here can’t even achieve a class consciousness with their fellow “worker”, and we’re supposed to expect them to achieve a global one? First World “workers” cannot be expected to ally with the global proletariat given how much benefit they receive from imperialism.